Mental illness plays a large role day-to-day for law enforcement with over 42 million American adults suffering from mental illnesses each year and approximately 10 percent of calls involving someone who is mentally ill. Despite being on the front lines, many officers are not trained to recognize or properly respond to a mental health crisis. 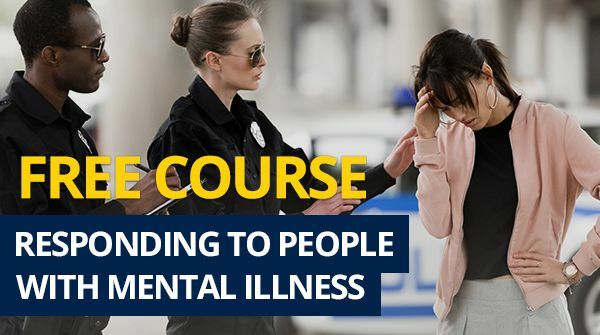 For the month of January, PoliceOne and PoliceOne Academy are offering our members free access to a 2-hour online course, 'Responding to People with Mental Illness', which provides essential training for officers interacting with those suffering from mental illness. Learn more about January's free course here.